March 18: The U.S. Congress repeals the requirement for gold as the backing of U.S. currency. March 18: Mel Brooks’ “The Producers” opens. March 18: In Paris, youths set off bombs in the offices of Chase Manhattan Bank, the Bank of America and Trans World Airlines to protest the war in Vietnam. March 19: Howard University students seize the administration building. March 20: Cat-and-mouse thriller “No Way to Treat a Lady,” starring Rod Steiger, Lee Remick, George Segal and Eileen Heckart, opens. March 20: Writer and film director Carl Theodor Dreyer dies in Copenhagen, Denmark, at age 79. 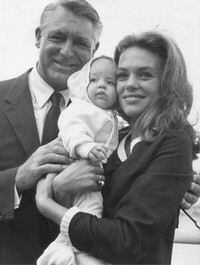 March 21: Dyan Cannon divorces Cary Grant, charging that he went crazy when he used LSD. March 22 In Paris, police arrest five young persons over the March 18 bombings. A group of about 150 gather at the University of Paris to protest the arrests, and they begin what they call the Movement of March 22. March 22: In Czechoslovakia, Antonin Novotny resigns the Czech presidency, setting off alarm bells in Moscow. The next day leaders of five Warsaw Pact countries meet in Dresden, East Germany to discuss the crisis. March 22: Gen. William Westmoreland is relieved of his duties in the wake of the Tet disaster. Troop strength under Westmoreland had reached more than 500,000 and he wanted more. He is succeeded by Gen. Creighton Abrams. Abrams reverses Westmoreland’s strategy. He ends major “search and destroy” missions and focuses on protecting population centers. William Colby takes charge of the pacification campaign.